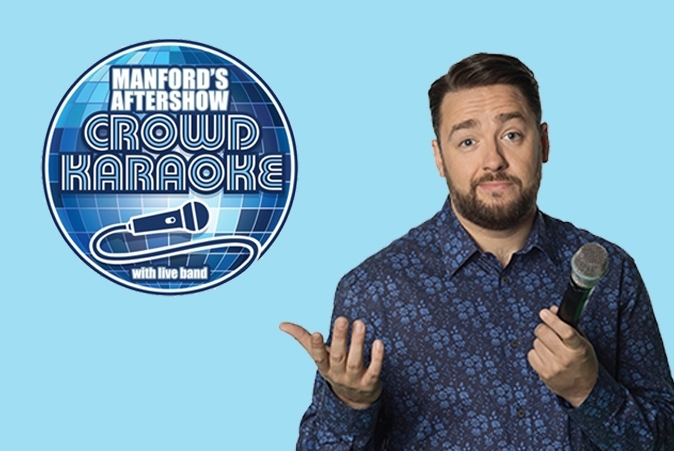 An After-show Crowd Karaoke is set to take place in the Arena on Friday 10 May straight after the Jason Manford & Friends show that is taking place in the Opera House. The Manford's Crowd Karaoke event will feature an amazing live band for the crowd to sing along to, guided by big screen lyrics. No dreaded spotlight here, everyone can sing their hearts out together! Crowd Karaoke was created so that people can sing and dance together. It really doesn't matter if you can sing or not! Or even dance! What we do know for SURE is that singing with other people is incredible fun. A funny thing happens: you feel like you're all working towards something together and it is exhilarating.